Apple has rebranded its iTunes Movies account on Twitter as @AppleTV —which, despite its name, is so far concentrated on the TV app for iPhones, iPads, and the Apple TV. The feed's one original post has a highlight reel showcasing the app, as well as its newfound support for Amazon Video thanks to the launch of Prime Video for tvOS. 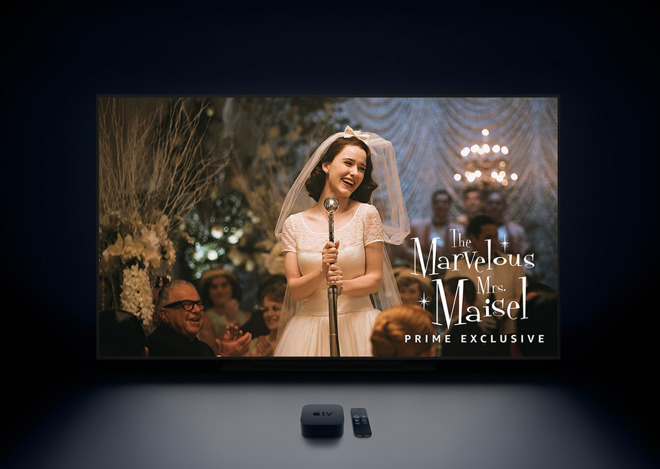 Apple first announced that Amazon would be coming to the Apple TV in June, and until today there were worries the client would miss its 2017 launch target. Apple appears to have shifted all of its movie and show promotion over to @iTunes. @iTunesMovies still exists, but is now locked and listed as dating back to just Oct. 2017. And now @PrimeVideo is here. Briefly mentioned in the highlight reel is the TV app's new sports features. On top of enabling quicker, centralized access, they can show or hide live scores, and even trigger notifications when a game is close. It's uncertain why Apple felt the need to completely rebrand the account. Apple is however believed to be working on slate of high-budget TV shows for 2019, which could be available to anyone with access to the TV app. That should include a reboot of Steven Spielberg's "Amazing Stories," and a morning show drama starring Jennifer Aniston and Reese Witherspoon.